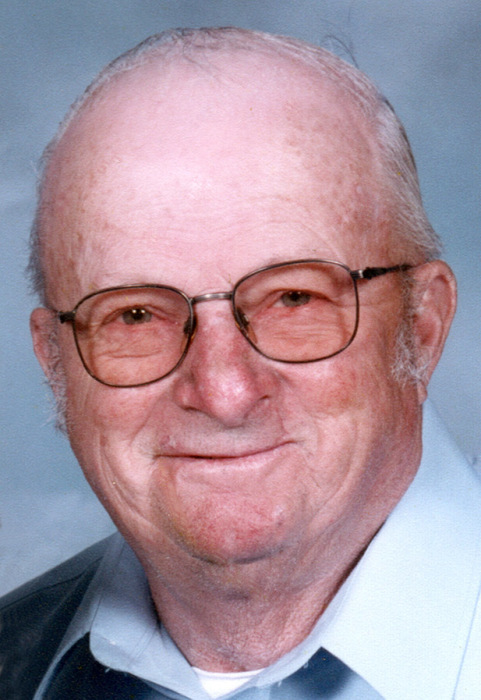 Obituary for Michael J. Ferrick | Glunt Funeral Home and Crematory, Inc.
Michael Joseph Ferrick, 80, of McKean, died Friday, July 13, 2018 at home. He was born in McKean on October 2, 1937, the son of the late Michael and Nellie Ferrick. He worked for Walmer Trucking Company for many years, before becoming a long time McKean Township Supervisor. After his (semi) retirement, he drove for Crystal Lakes Development and Five Star International. He spent many years attending to the family farm in McKean. He was a charter member of the McKean Lions Club and a lifetime member of the St. Francis Xavier Church and the St. Francis Ushers Club. He was an avid Pittsburgh Steelers Fan. He enjoyed playing cards, attending auctions, and loved to spend time with his family, especially his grandchildren. He was preceded in death by a brother; Richard Ferrick. Survivors include his loving wife of 61 years, Shirley Ferrick; a son, William “Bill” (Patricia) Ferrick of McKean; four daughters, Valerie (Keith) Metz of Erie, Shelly (Fred) Gleichsner of Erie, Christine (Jim) Frye of Edinboro, and Stefanie (Eric) Dedrick of McKean; 3 sisters, Barb Fox, Mary Jackson, and Jean Klimek; 10 grandchildren, and a great-granddaughter; and many nieces and nephews. Michael's family would like to express their gratitude for the exceptional care given through Heartland Hospice, and especially Mary, Jeanne, and Janis. Friends may call at the Glunt Funeral Home and Crematory, Inc., 210 Erie Street, Edinboro, on Tuesday, July 17, 2018 from 3 to 7 p.m. A Mass of Christian Burial will be held at St. Francis Xavier Church on Wednesday at 10:00 a.m.
A private burial will be held at St. Francis Xavier Cemetery. In Lieu of flowers, the family requests memorials may be made to Heartland Hospice, 719 Indiana Dr., Erie, PA 16505 or to the St. Francis Xavier Catholic Church, 8880 Main St., McKean, PA 16426. To send condolences please visit www.gluntfuneralhome.com.